Thanks so much. I am loving these pancakes. I am making them for the second time now. But this time I am following the exact recipe. I am going to give this a go, but make it with vegan substitute ingredients. I am looking forward to trying this! Make sure the pan is not too hot. 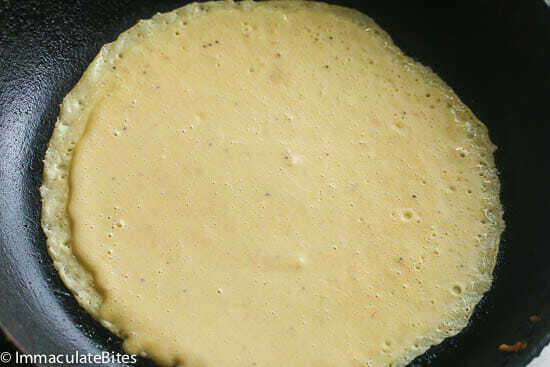 Otherwise, the bottom will be very brown before the pancake is ready to flip. 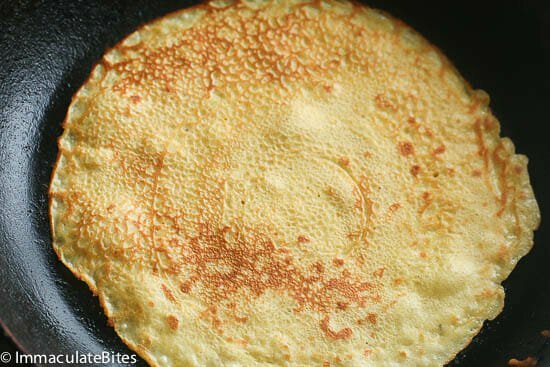 Make smaller pancakes, ones that fit on your thin pancake flipper. Don’t try to cook too many at once. WAIT UNTIL BUBBLES APPEAR before trying to flip. This means that air is cooking the inside. The edges should be solid and the middle not too gooey. 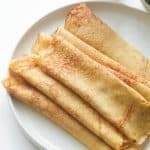 Once you gently loosen the edges (with the thinnest egg turner you have), slip the egg turner under the pancake WITH ONE QUICK PUSH, then quickly flip the pancake. If the spot where it was looks brown, move it to a new one. Store the cooked cakes between paper layers as they come off the griddle, so that they won’t stick together. 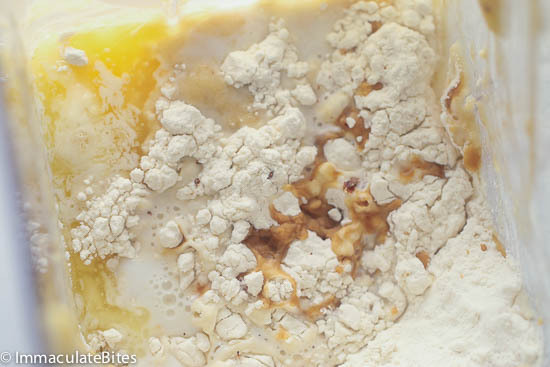 Use paper towels to absorb extra grease at first, then waxed paper for storage in the refrigerator, assuming you have any left! So yummy! The recipe was a bit confusing as I wasnt sure what “add all of the ingredients “included. I almost left out the butter! The texture I would like to be a bit drier so I can get it off the pan easier. Any suggestions? Less butter would make it drier. Also you can use a spray to help get it off the pan . I love these always wonder kow to make them, I have them all the time in Las Vegas me and my Husband Yummy in my Tummy Thanks!!! You are in for a treat Steph! Glad to hear it worked out well for you. Can’t wait to hear which ones you try out next. Wishing you all the best of 2018. Hi. I have this plantain just lying around in the kitchen. I’ll definitely like to try this, but my blender is bad. Can I mash it spoon? I made this today for our Sunday brunch and it was nothing short of amazing. Even my husband who is very choosy when it comes to loved it too. This recipe is definitely a keeper. Thank you! YAY! Thanks for taking the time to let me know. Please why do you have to let it rest for a while before frying? It helps make it tender . You can try both ways and see which one you prefer. OH WOW! same thing happened with my son. The first time I made them- you just can’t tell. My lips are sealed. It’s going to be our little secret. Thanks for letting me know Isimeme! Do you have the recipe for coconut sauce? 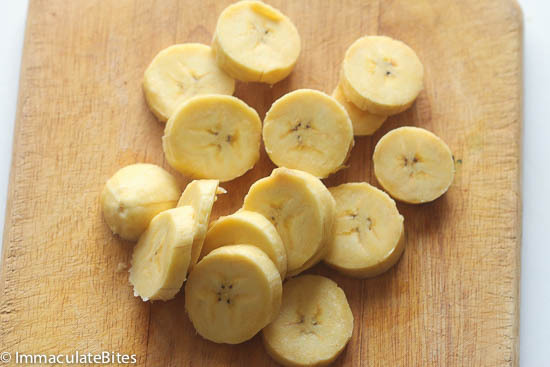 Have you tried using green plantains? 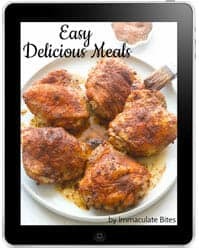 I just discovered this recipe and I’m hooked. 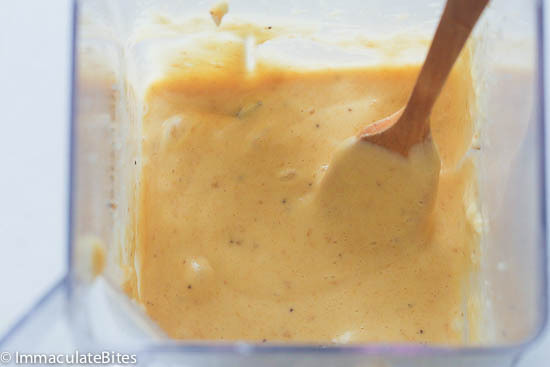 I just blend everything together until the batter is nice and smooth. These come out amazingly light and fluffy. 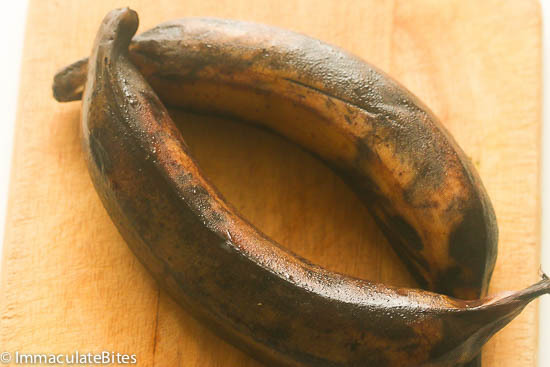 I’m not really a huge fan of banana-egg pancakes either, but using unripe plantains seems to be the secret. 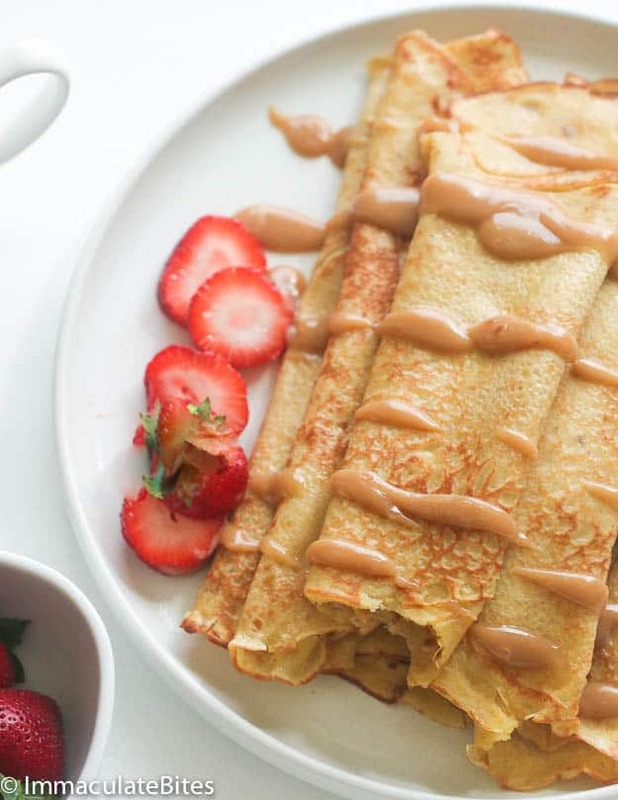 They taste great with lots of honey (and butter!). I have made the thick american style plantain pancakes not the thin ones yet. On my too do list. Looks great. Looks amazingly delicious!! Can’t wait to try this one. I recently tried the 2 ingredient banana pancake and was sadly disappointed because it mainly tasted more like eggs. I’ll give this one a shot. I love plantains but I never thought about putting them in pancakes. I’m definitely going to give this a try as a dessert — I’m thinking caramelizing the plantains with a little brown sugar first, then serving with some fresh mango, shredded coconut, and a scoop of vanilla ice cream! Wow! Now this is something new. Will try. I love plantains in general, and plantain pancakes in particular. However, due to dietary restrictions I can’t eat gluten; I will try making this with a small portion of coconut flour, to see if it’ll work. Thank you for sharing this unique recipe! 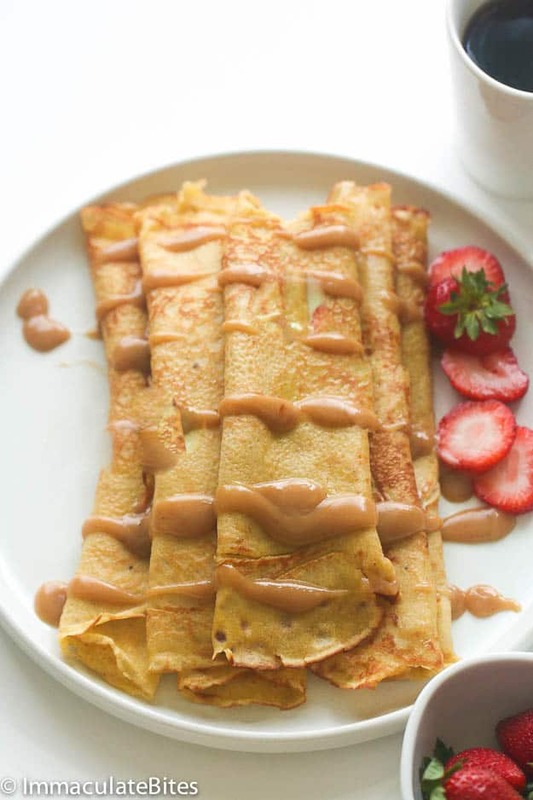 When I was in high school, we used to go get delicious crepes after class. 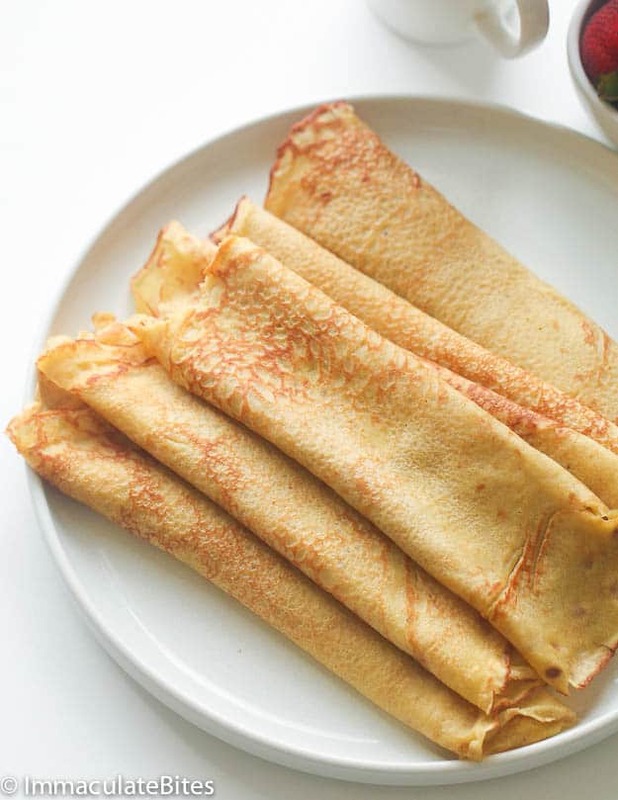 These plantain pancakes remind me of those crepes! They look so light and sweet–perfect for a special occasion breakfast. I can’t wait to try them out! They sure are a special treat. These pancakes look absolutely delicious!